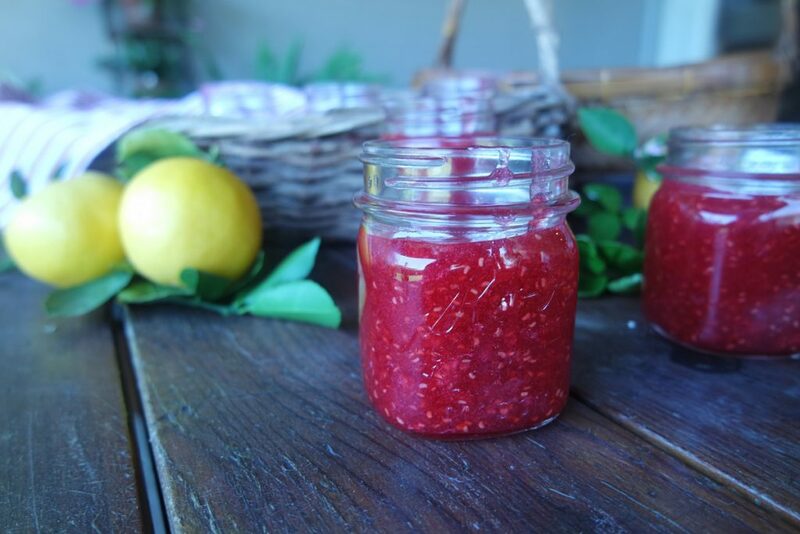 If you’re looking to create a family memory with your kids, cousins, nieces, nephews or future grand kids, consider making raspberry jam one of your traditions! I grew up with many traditions that I will cherish thanks to my mom and Nana. Now that I have a family, it’s up to me to implement a family memory each season for my children and future grandchildren to cherish. How do you create a lasting family memory? Consistency is key. Make it special then keep doing it. Even if it takes a bit more effort and time, your children will find it invaluable. And remember, Thanksgiving and Christmas are not the only opportunities to make memories with your family. For as long as I can remember, our refrigerator and freezer has been full of jam. 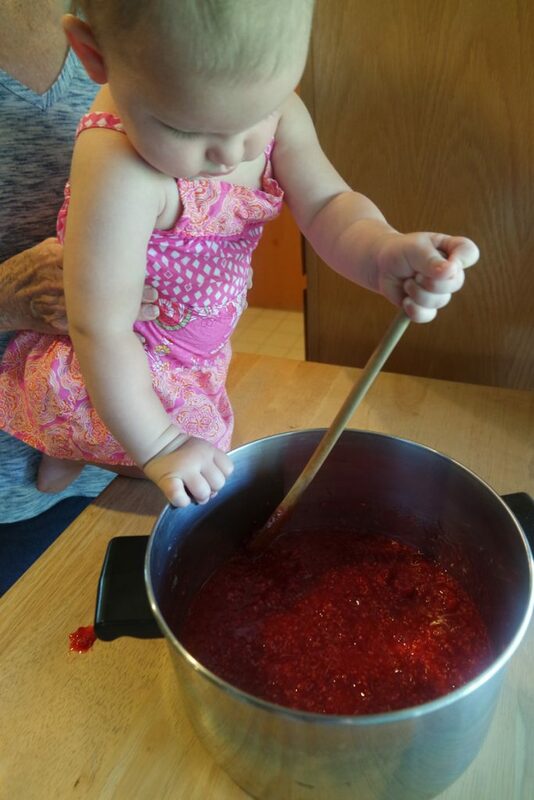 Strawberry, raspberry, boysenberry, you name it, Nana made it into jam! With freezers overflowing, there was never a shortage of this sweet stuff. Well into her 80’s, Nana is still at it. Any family member who comes to town gets jam (or something else sweet) and she’ll stay up well into wee hours of the morning to make it. Not until I had my daughter, did I begin to think, there will eventually be one day where my stock will be used up and Nana won’t be able to replenish it. She never followed a “recipe”, so I had to learn her secrets in order to continue her legacy one day. 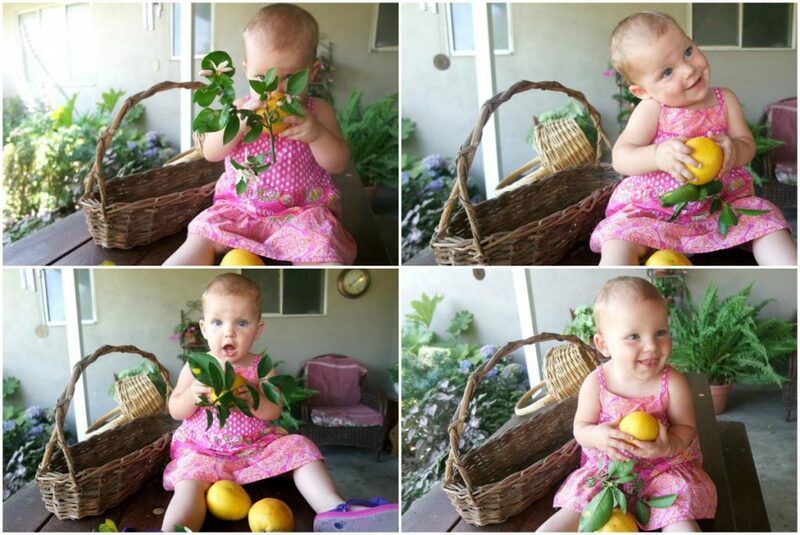 I hope you can find inspiration in these photos to create a lasting family memory of your own. The fun part about raspberry jam is making it! Learning Nana’s process (and documenting it) created even another memory. 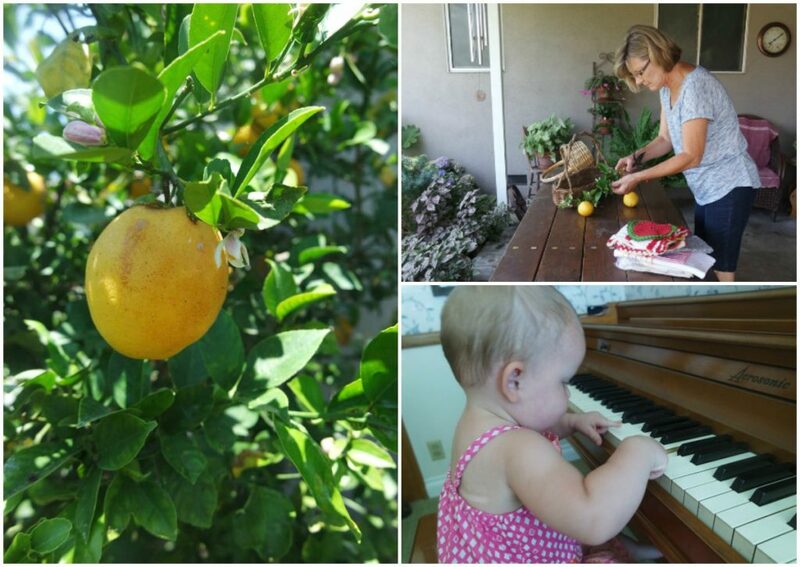 Before we began, lemons needed to be picked, mom helped design the photo set and Joce played the piano. 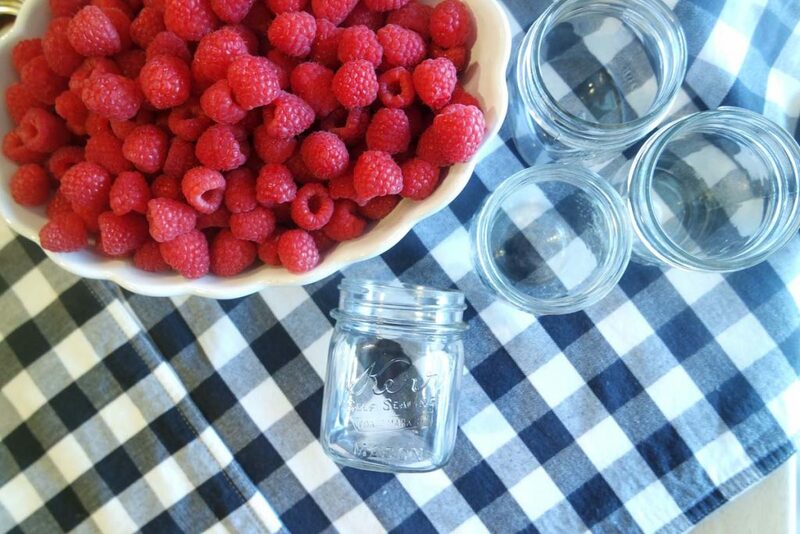 What do you need for raspberry jam? 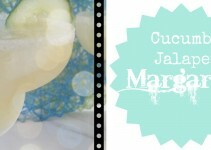 First, you’ll need some fun canning jars like these ones here, or these ! 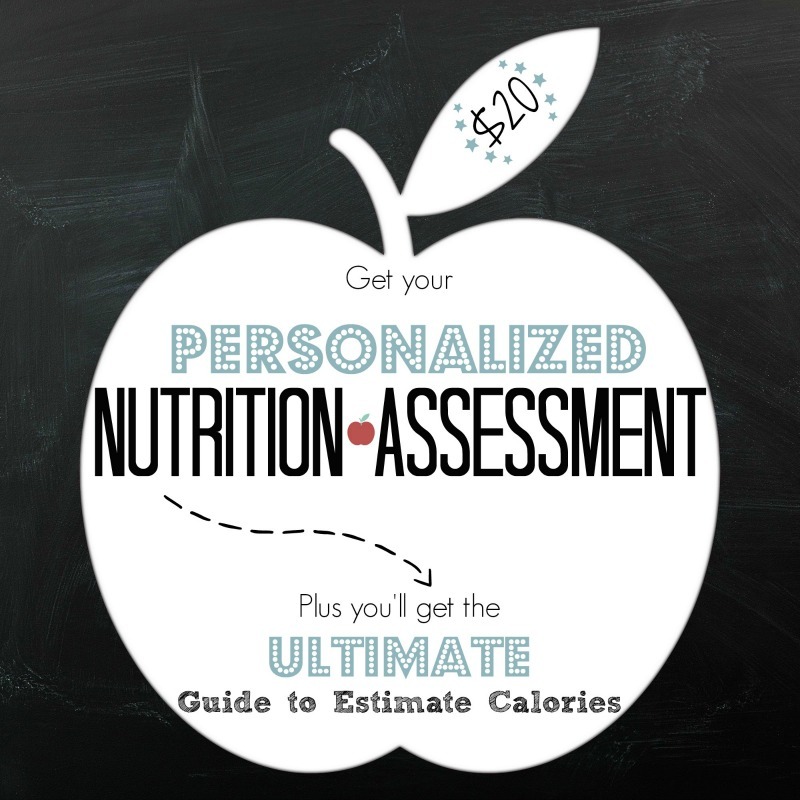 Second, be sure to choose fresh, ripe fruit. Then all that’s left is MCP premium fruit pectin , lemon juice, sugar, corn syrup, a little bit of free time and love. And don’t forget (like I did) these adorable chalkboard labels . Typically, I opt for healthy, but not when it comes to jam. It’s a classic tradition in our family. 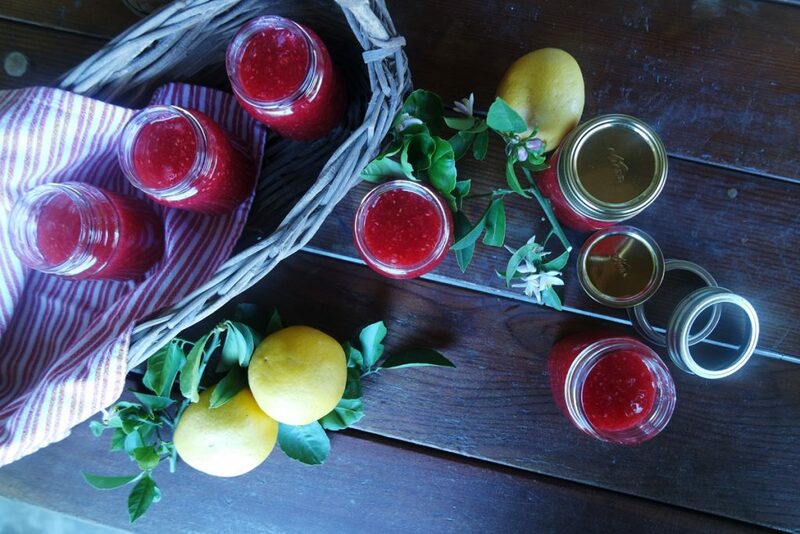 After all, jam isn’t an everyday condiment, so when we want jam, only the real deal will do. 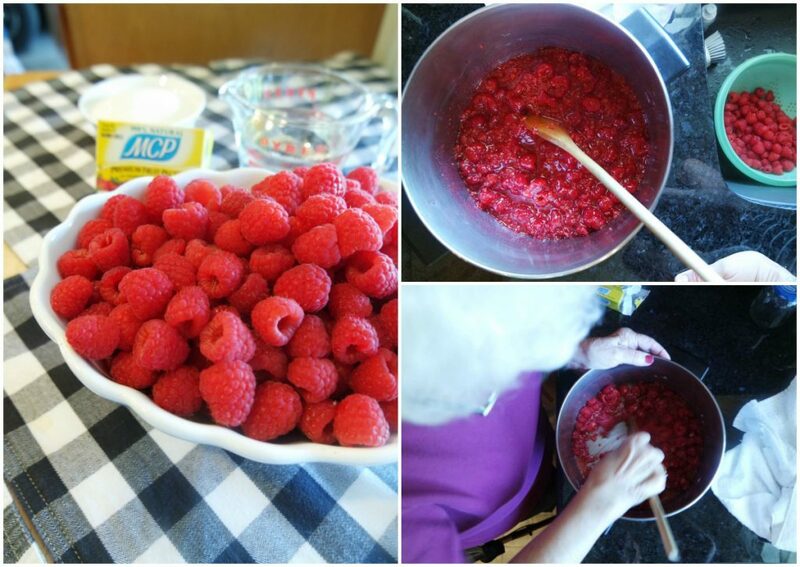 To fresh raspberries, Nana added lemon juice and a pack of MCP. She stirred for about 10 minutes then let it sit for 30 minutes. After that, she added the corn syrup and a ton of sugar. (I warned you!) It was comical to see just how much sugar is in jam. But that’s what jam is, fruit and sugar. Embrace it! 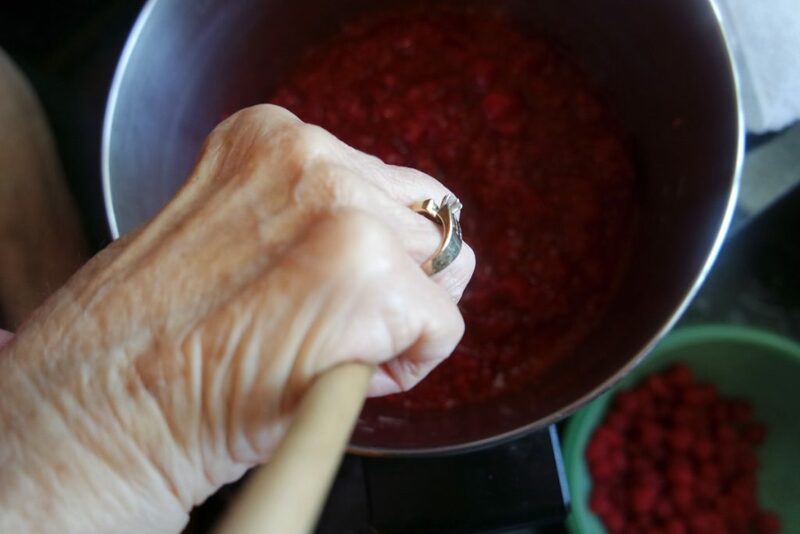 Nana sure as heck keeps her arms toned while making jam, she stirred…and stirred…and stirred. Apparently, that’s the secret, Nana’s love. Jocey picked up this skill immediately. She’s a natural! 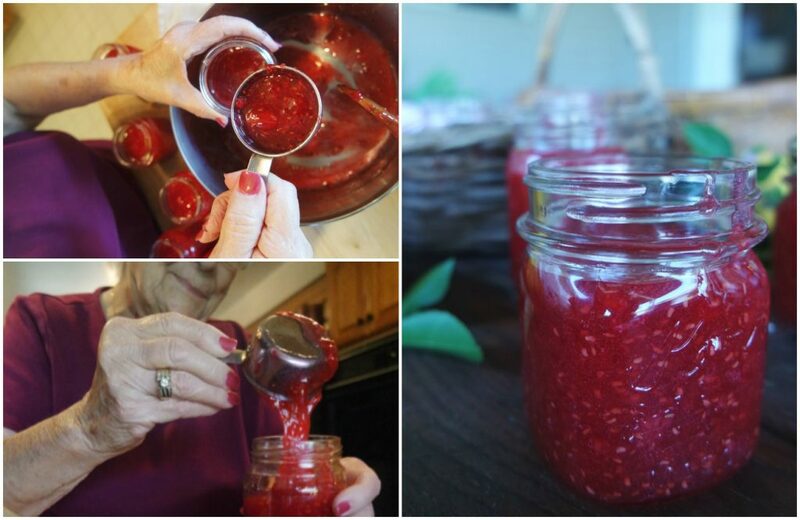 Once everything was stirred to Nana’s liking, it was time to put into jars . Before doing the final photo shoot, there was a star waiting for her photo op! 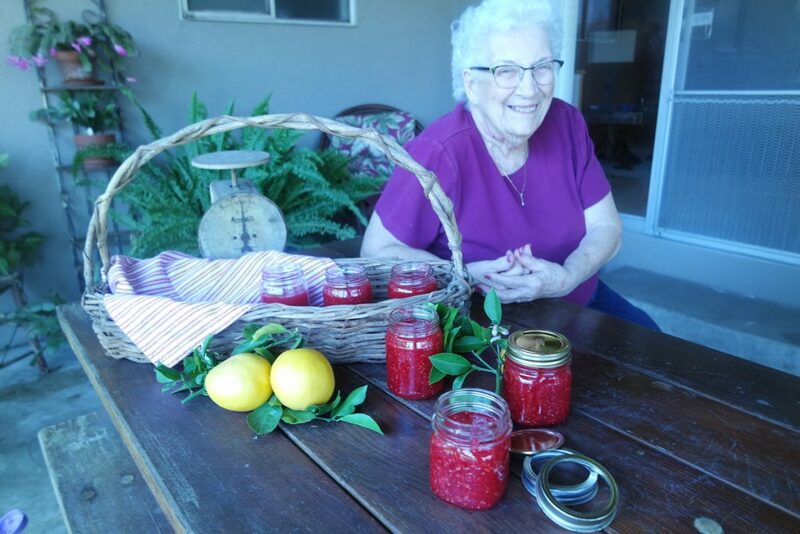 This is our proud Nana with her latest batch of raspberry jam. 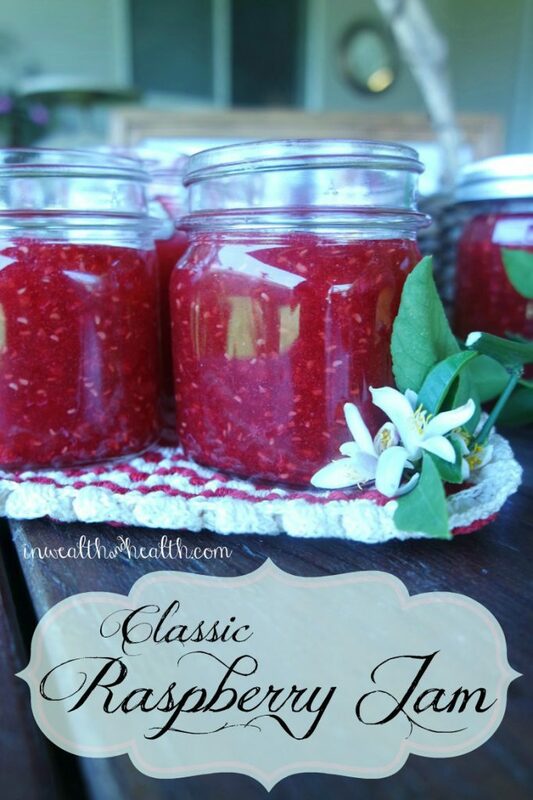 Thanks Nana, for making jam for so many years. You’ve created many a family memory, and this one will be burned into our hearts forever. 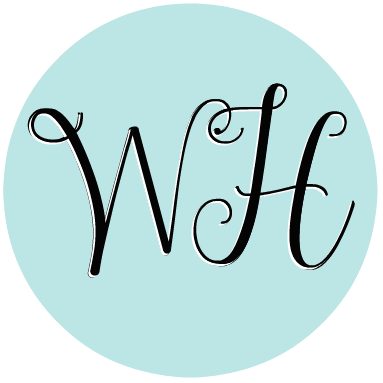 I hope you’ve been inspired to create a family memory of your own! 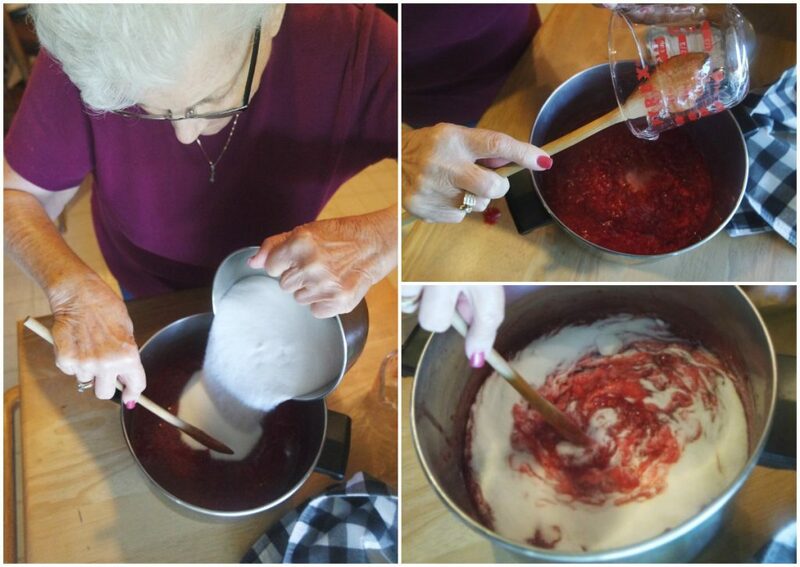 Here’s the recipe for Nana’s raspberry jam. In a large bowl, stir together raspberries and lemon juice. Add MCP and stir until fully dissolved. 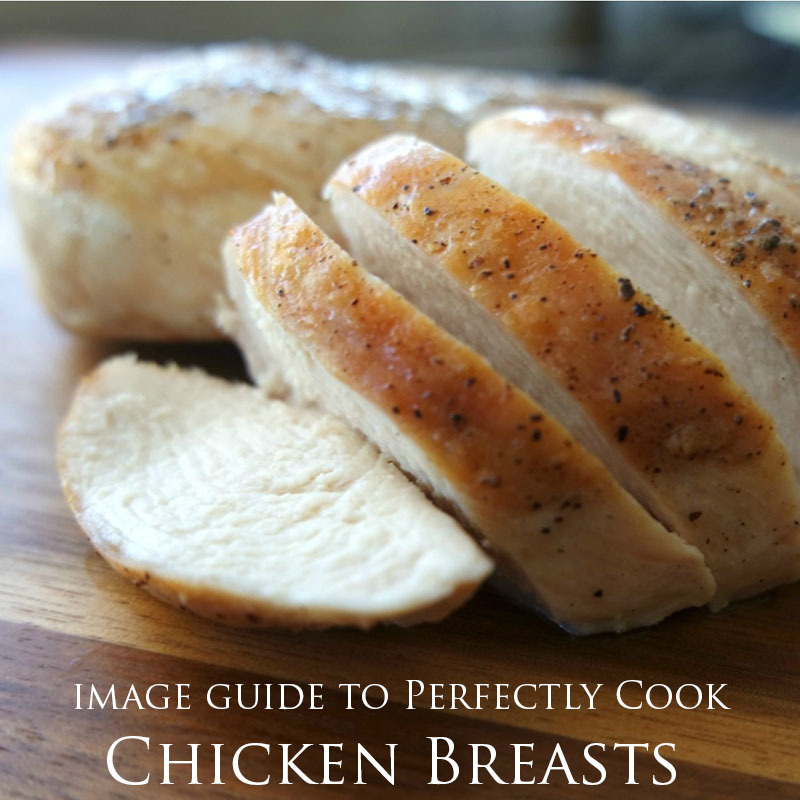 Let sit for 30 minutes at room temperature. 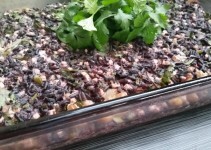 Pour in corn syrup and stir to incorporate. 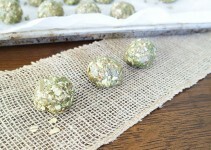 Pour in 1 cup of sugar and stir until completely dissolved. Repeat with the additional 3 cups. This is such a sweet and beautiful post, I love it! And the jam looks amazing. I loved this article and thought you would too. 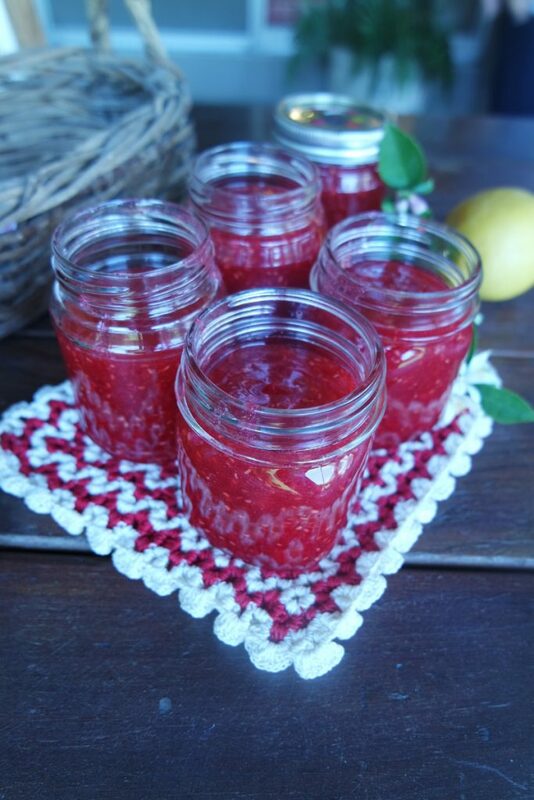 Here it is Create a Family Memory with Raspberry Jam located at http://www.inwealthandhealth.com/create-a-family-memory-with-raspberry-jam/.